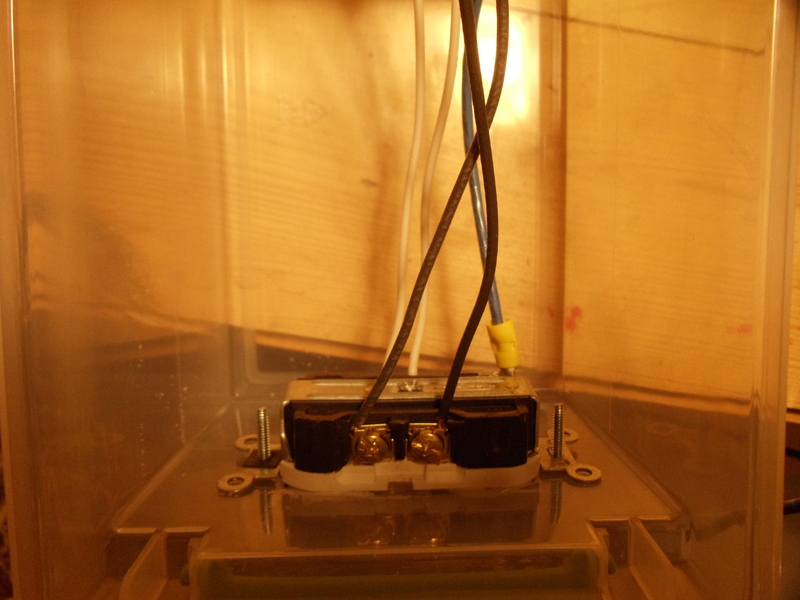 Finally got my temperature controller wired up. It isn’t easy when you have to be thrifty but I think I did well. 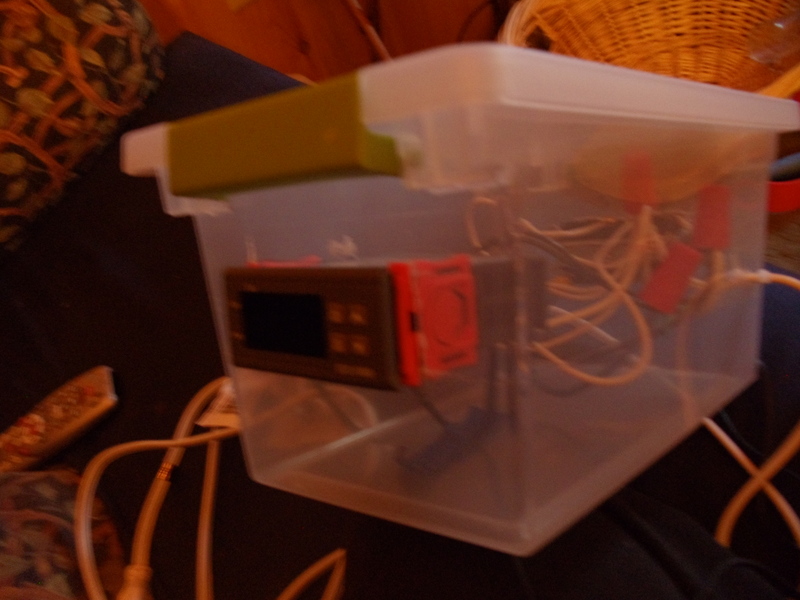 I got an aquarium temperature controller from ebay and some random parts and put it together for 1/3 the cost of buying one. 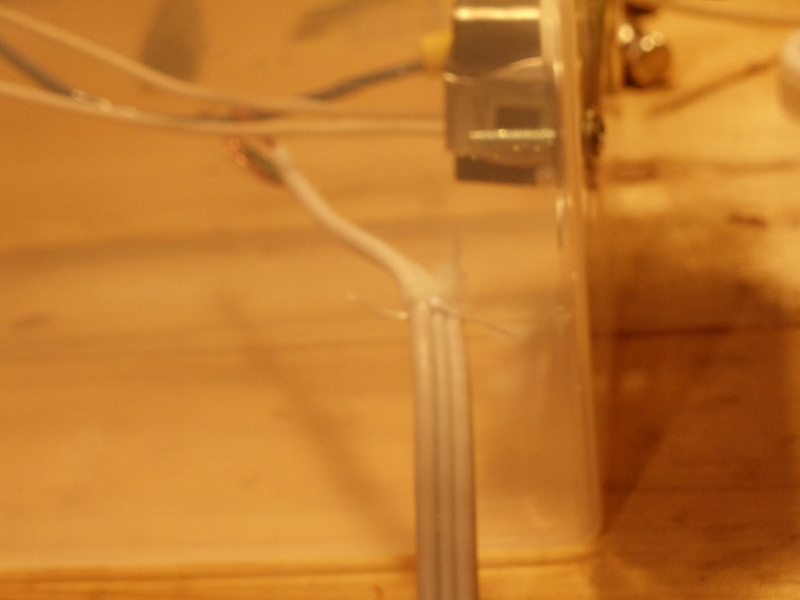 This controller has two outputs, one will go to the free chest freezer we got from Craigslist, the other will go to an aquarium heater in a water bath the carboy will sit in. 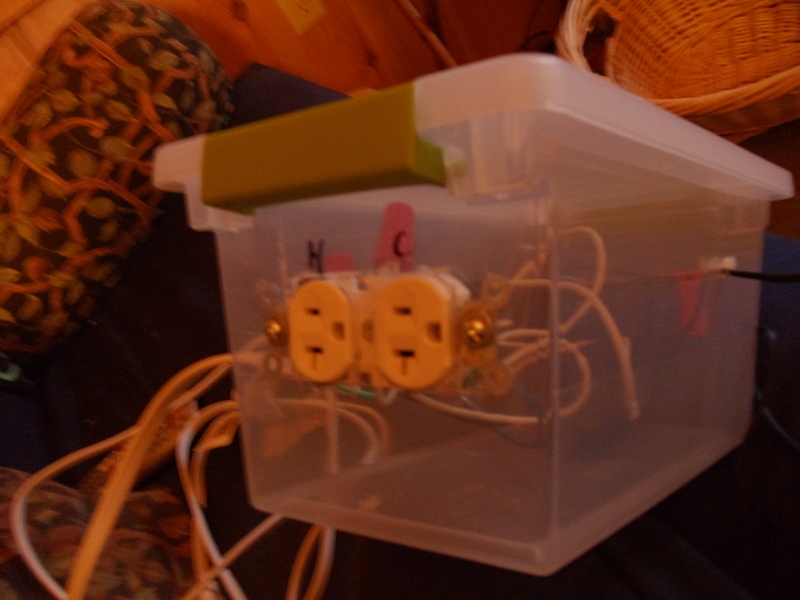 Once I set my temperature, the unit will decide if the heater or freezer needs to be on and then will turn off whichever once the desired temperature is met. Shooting for a Belgian Wit with Clementines soon I hope. I love clementines so I hope I can get the flavor in there good. 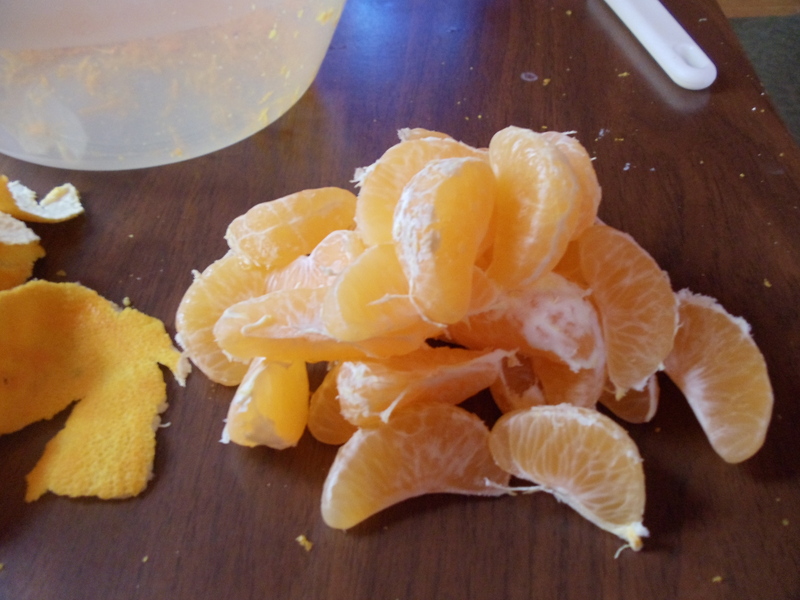 I zested 4 clementines. 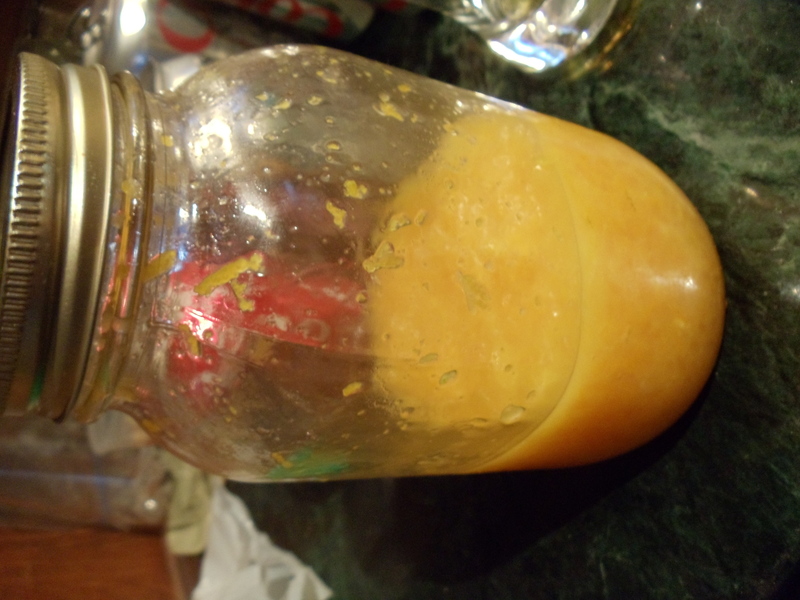 I chunked up just the fruit, minus the membranes, and put it all into a jar with 1/2 cup of vodka. This is in my fridge until ready. 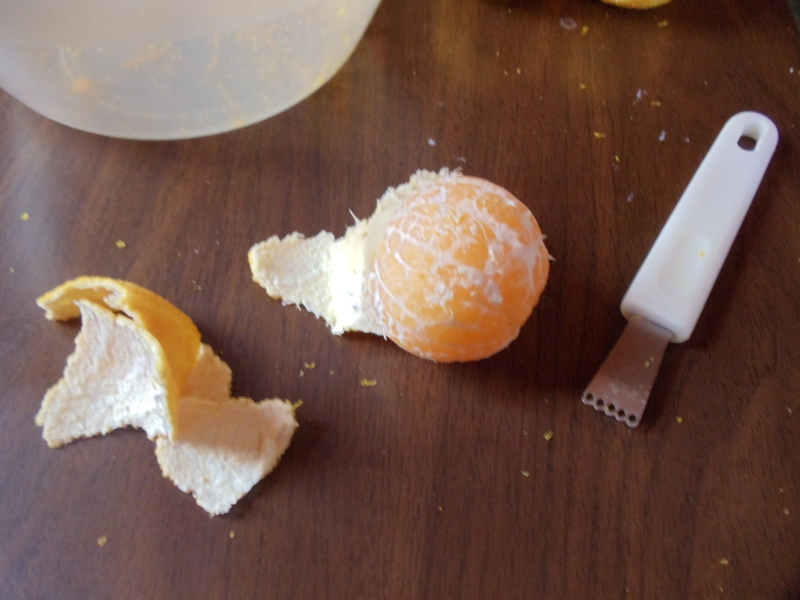 In the meantime, when I eat a clementine I keep the peel. 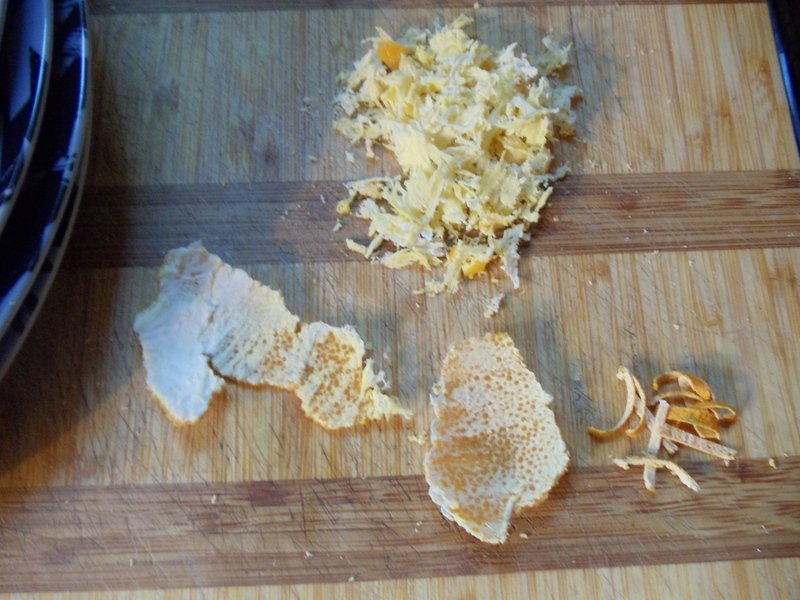 I use a knife to scrape off the pith and put the peels in a window on a paper plate. 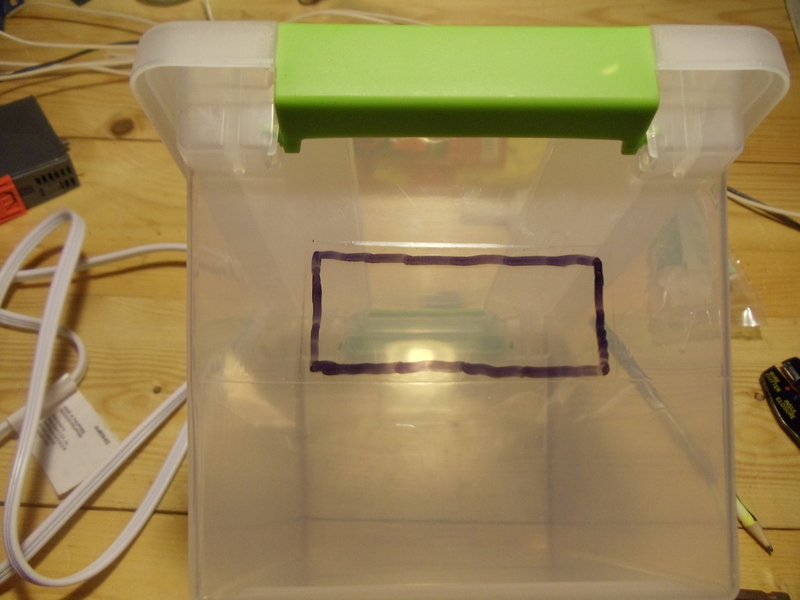 When dry I slice into thin strips. 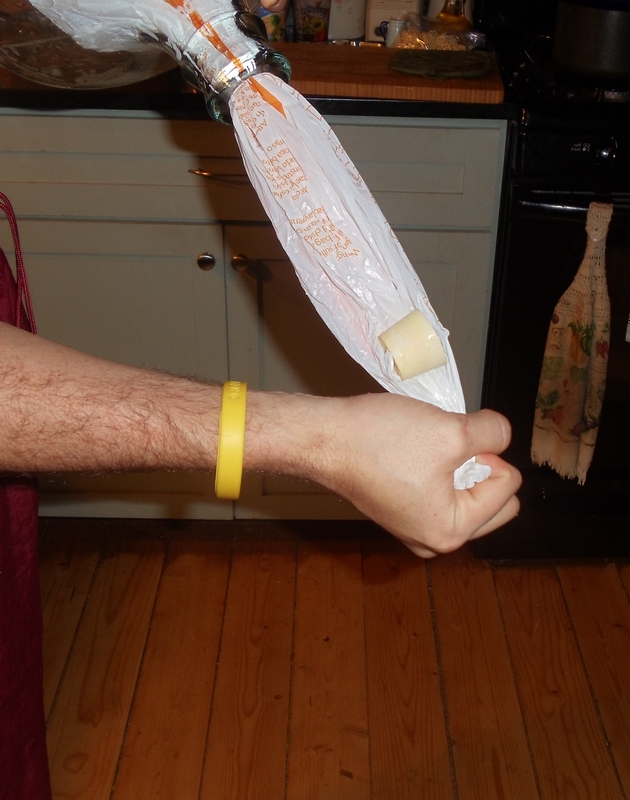 I’ll use this in place of orange peels in my recipe. 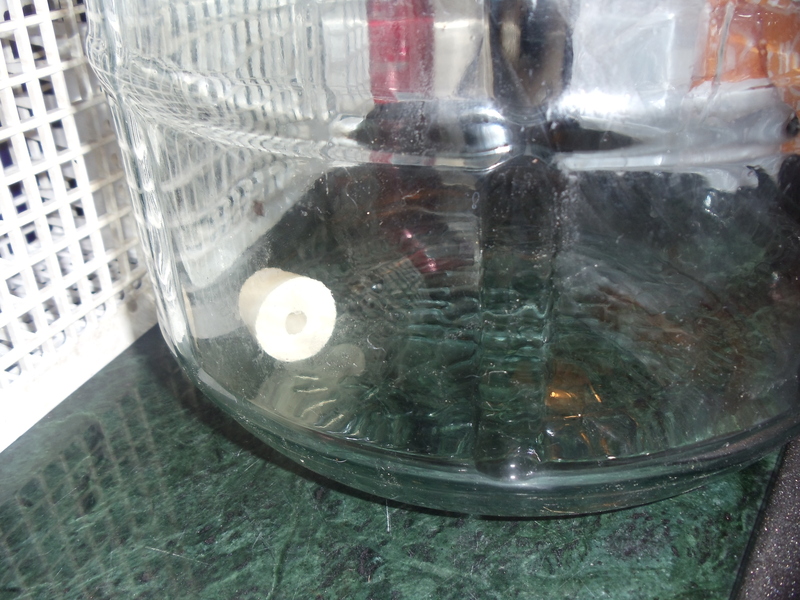 Ever get a stopper stuck in a carboy? 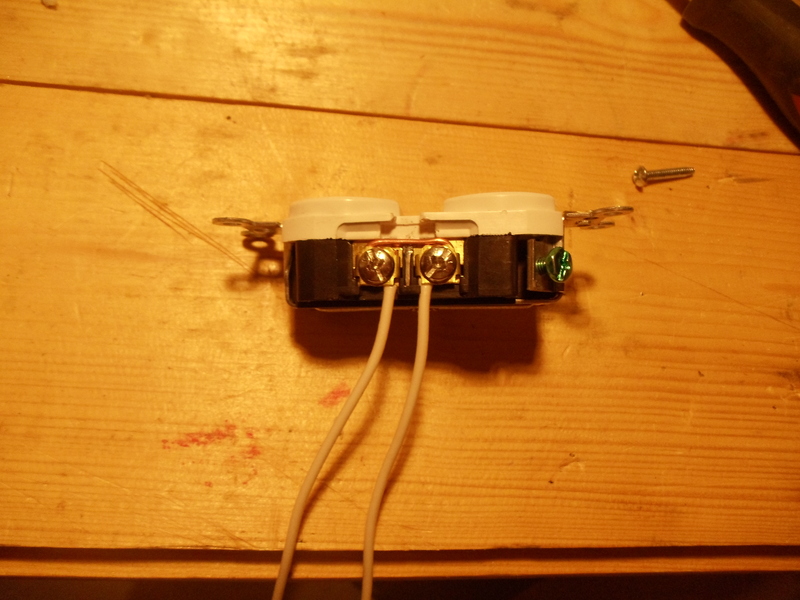 Don’t panic, super easy fix. 1. 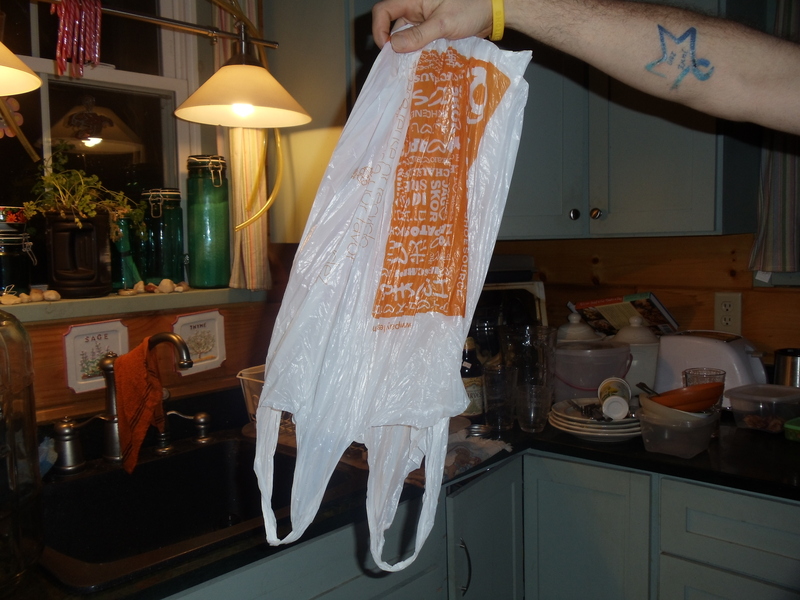 Get a plastic shopping bag. 2. 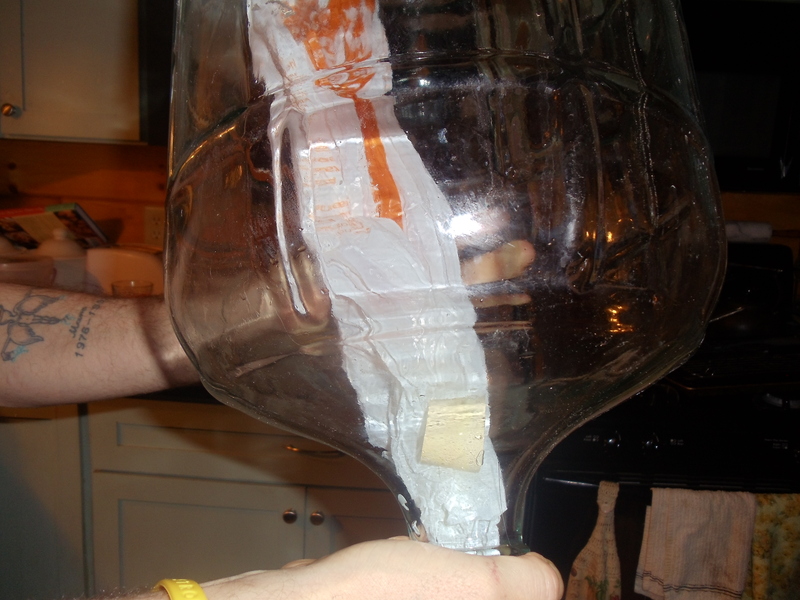 Shove it handles up into the carboy top, leaving enough to grab. 3. 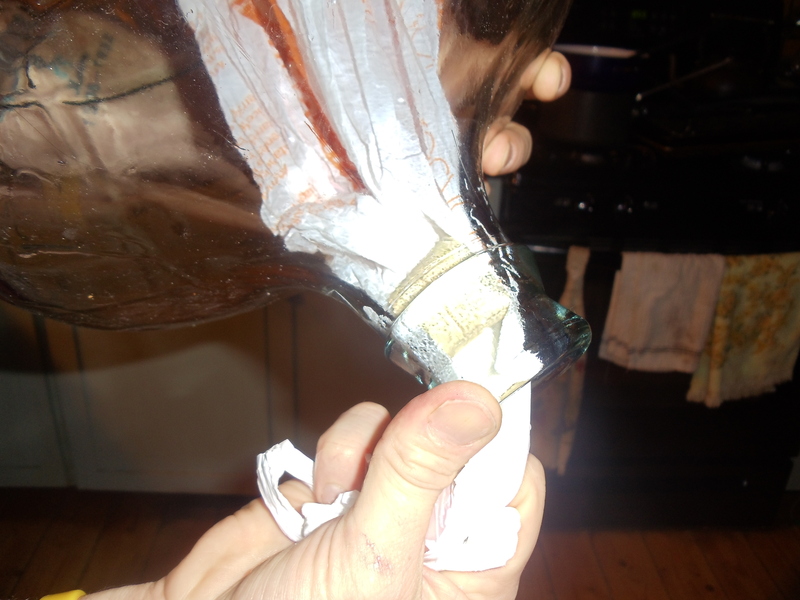 Tip carboy upside down and shake to get the stopper to lie in the opening against the bag. 4. 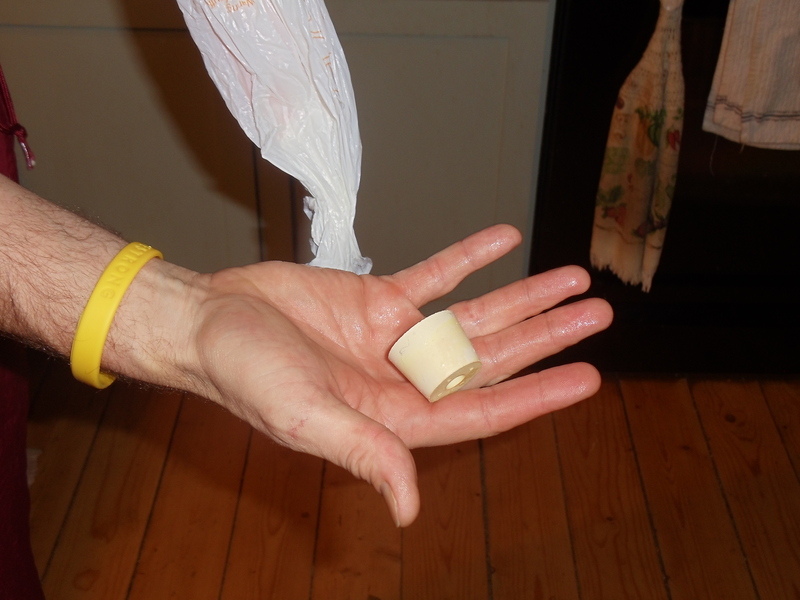 Gently pull the bag out, the stopper will get caught in it and pop right out easy peasy. 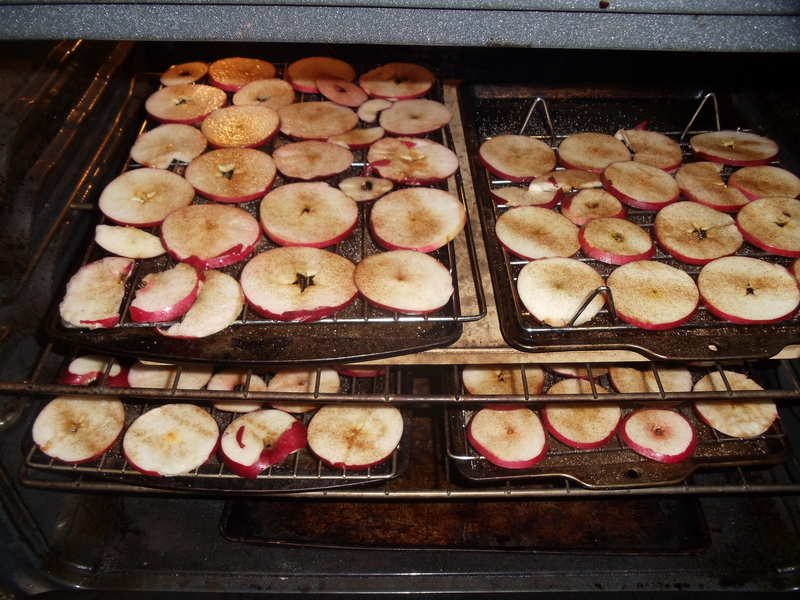 Tonight we are making apple chips. Couldn’t be simpler. 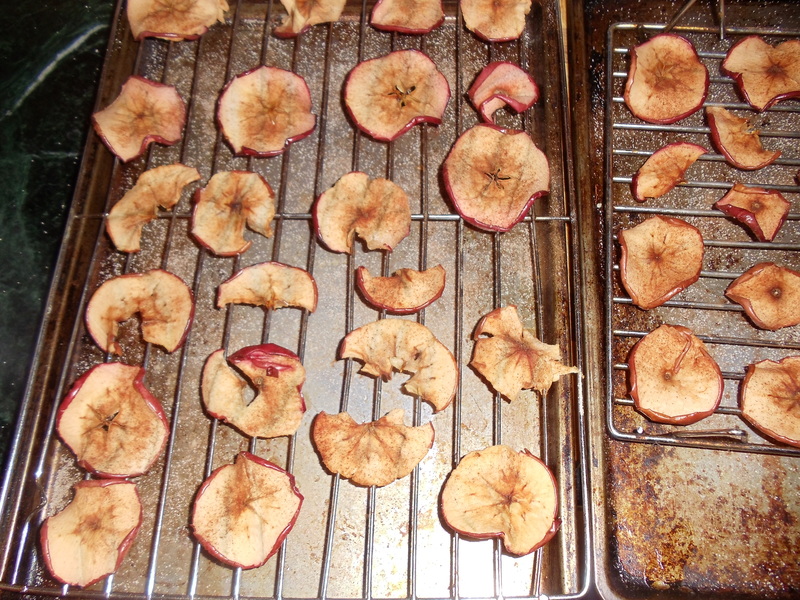 Slice apples 1/8″ with a mandolin slicer. 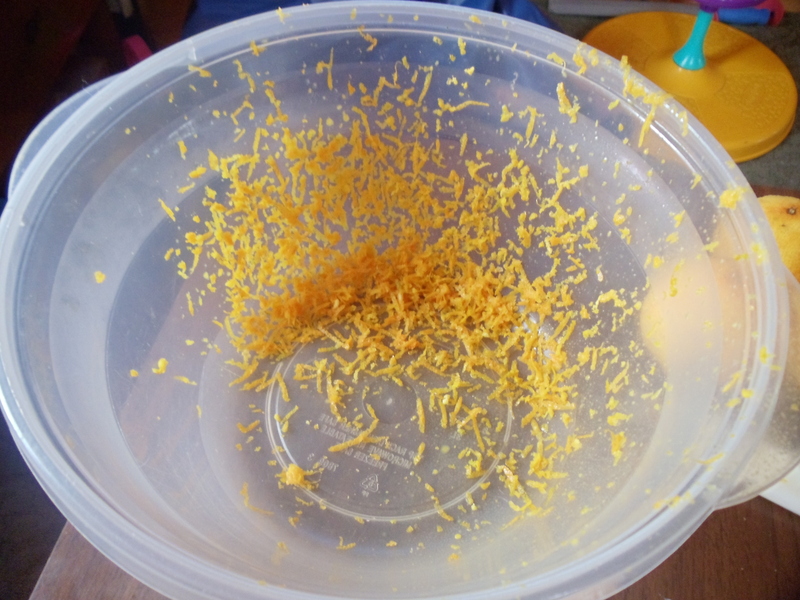 Dip in lemon water bath. Place on cookie racks over cookie sheets. Sprinkle with cinnamon and sugar. Bake at 45-60 minutes @ 250, flip them and back another 45-60 minutes. What to do with the extra pieces? Apple tea of course. 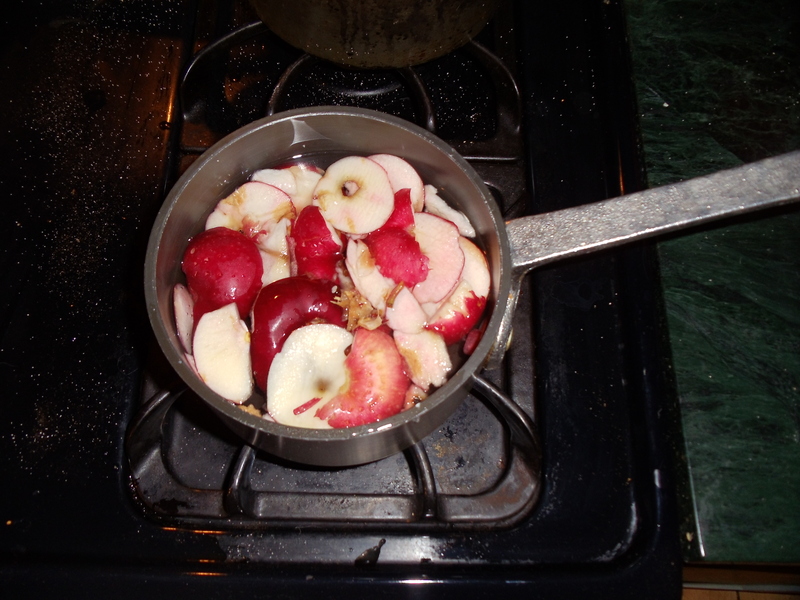 Simmer leftovers in water with allspice and honey. Every once in a while, it pays to step back, look where you’ve been and decide where you want to go in a hobby. 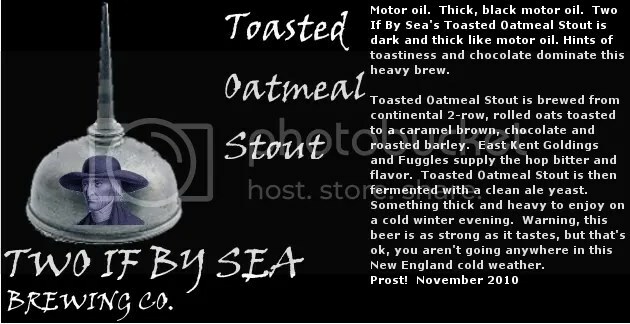 I thoroughly enjoy all parts of brewing. From coming up with a decision on what beer to brew, determining and perfecting a recipe, and the actual brew process from fermentation to bottling and conditioning. It has been a very fun journey thus far. Time for another step. 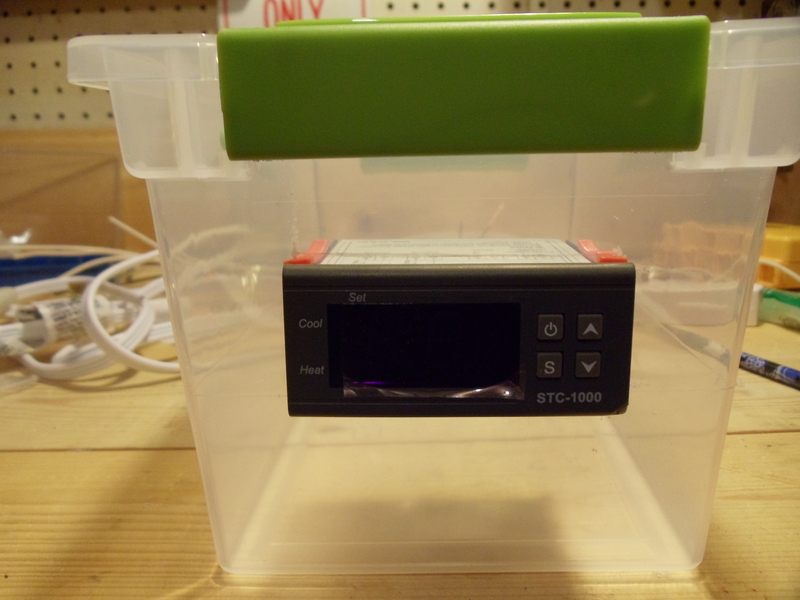 I found a very cheap temperature controller and need just a few cheap parts and I’ll get that wired up so I can have better control of my fermentation temperatures PLUS the bonus of being able to control ferment a lager. I’m excited about this new skill to tackle. 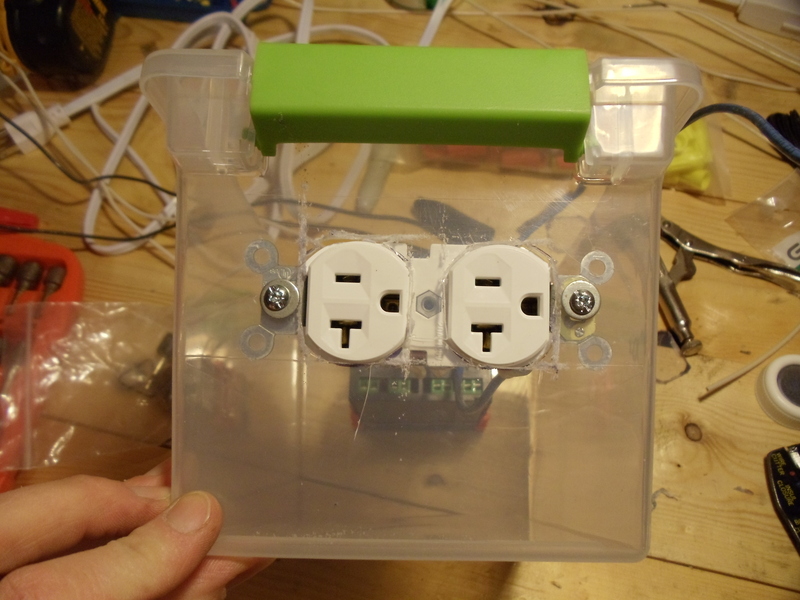 I also love that I will be making my temperature controller. I’ve also thought about the beers I want to make. I’ve made lists before and some of them have been made, some haven’t and the list keeps changing but that’s the fun part of it. As you can see, most are beers not easily or cheaply available. I feel that if I put the time in, why not come out the other end with something different? But that’s just my opinion. Yesterday I finally got to my Russian Imperial Stout. This is the one I plan to age for 5 years and open up in celebration of me being officially cancer free. This will go onto a fat S-04 yeast cake to ferment around 62F. 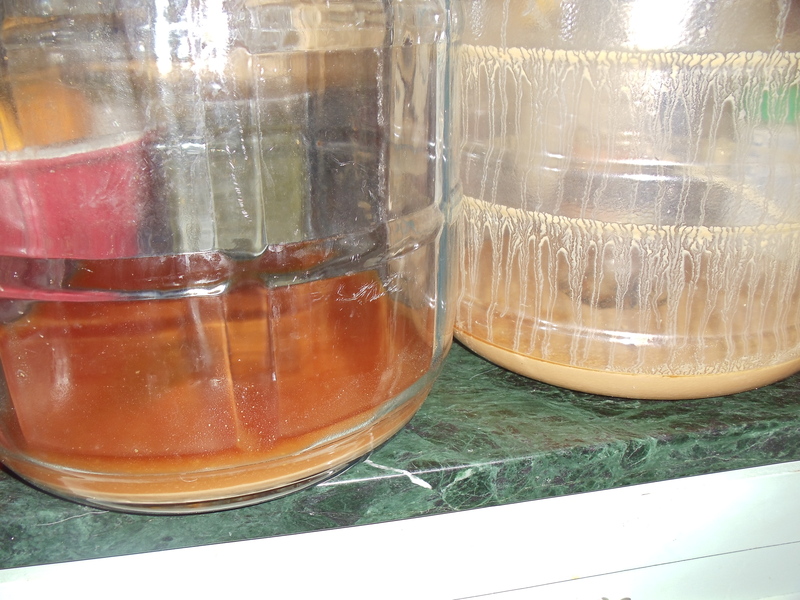 Here is the yeast cake split into two carboys. A beautiful mash. It smelled amazing. 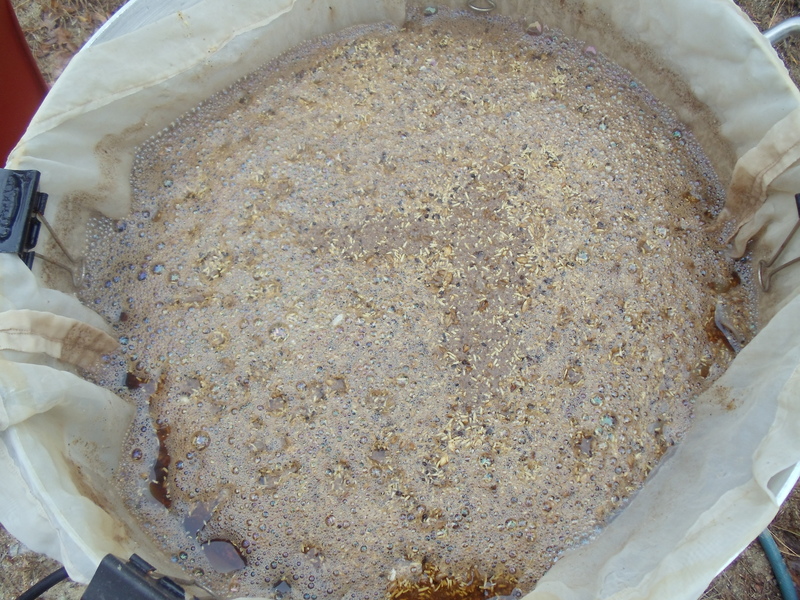 Not a bad looking wort either. Hey. What’s this? Doesn’t look like RIS. 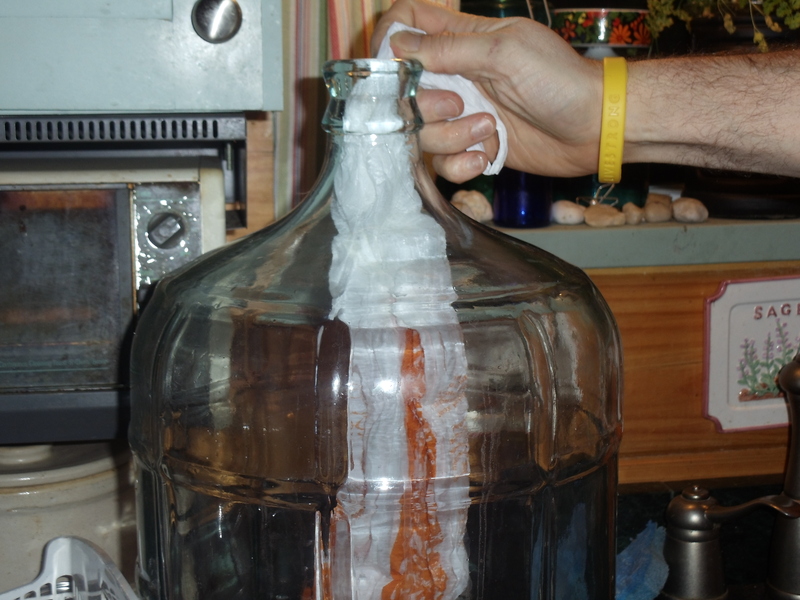 It isn’t, instead of my normal sour mash partigyle I did something different. My RIS recipe was for 6 gallons. I put 5 gallons in the 6 gallon Better Bottle and left 1 gallon in the kettle. I was thinking about how many sugars I had left, even with a 1.1 OG there was some good sugar in there. I also wasn’t sure the grains used would do well souring so I decided to do a partigyle. CHOCOLATE and then it hit me. This could be a Mexican Chocolate Porter. My OG would be around 1.069 and I could add cocoa and cayenne in the secondary. I boiled and used Columbus hops for bittering around 35 IBUs. 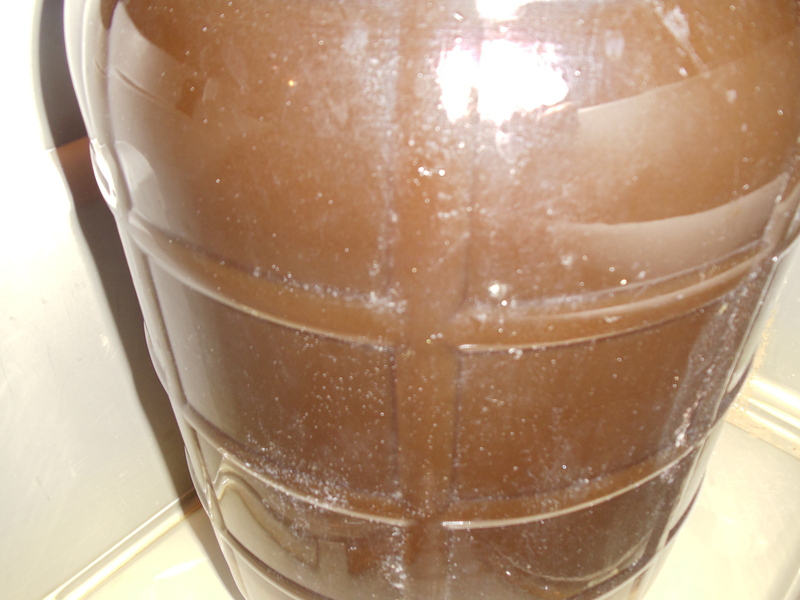 The wort tasted great and looked like chocolate milk going in. 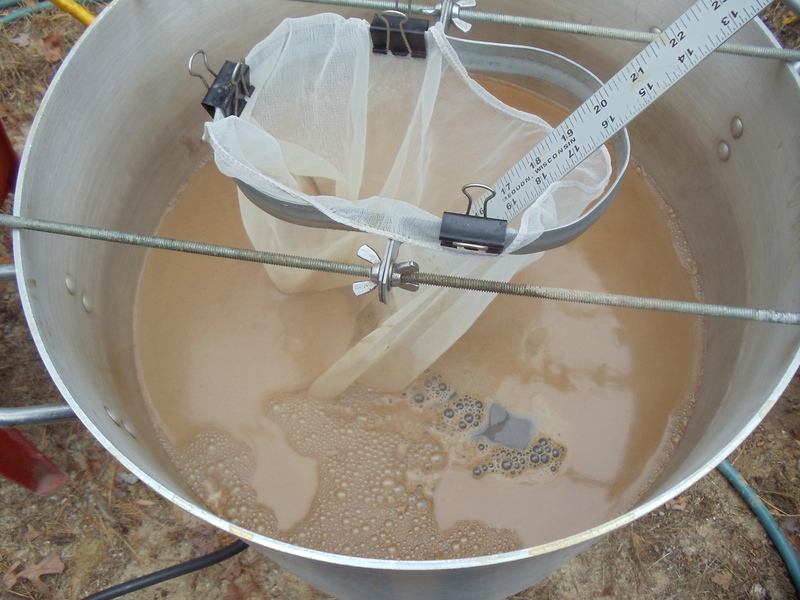 Today there was activity in both carboys, the RIS blowing off already and the Porter begin to Krausen.